Recently there’s been a lot of talk about all the great energy and cost saving benefits that come from installing rooftop solar. In cities that have generous rebate programs, such as Austin and San Antonio, customers can expect to see their utility bills fall by 50% or more, and to break even on their solar investment within 7 years. These systems can produce electricity for 25 to 40 years, and can net up to tens of thousands of dollars in energy savings throughout their lifetime. These benefits alone have been enough to spark a bustling solar industry in solar-friendly cities, but new research has shown that solar may be good for more than just saving on electric bills. A study conducted by the Berkeley National Laboratory shows that solar can add thousands to home resale value. Although the study is limited to California, researchers concluded that solar adds approximately $5,900 to the value of a home per kW installed. The study found that the premium commanded by solar falls by about 9% per year. Still, this is slower than the depreciation of other major purchases, such as new cars, which loss value at a rate of nearly 15% per year. And unlike cars, solar panels actually pay the owner to use them. The premium added to home value from panels is just an extra bonus to the already substantial energy savings. Case studies of single-family homes in the Denver metro area seem to also show that, in most circumstances, a monetary benefit is seen when selling a home with solar panels installed. One of the takeaways from this study was that the monetary benefit will vary by market area, over time and on a house-by-house basis. 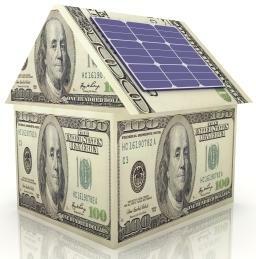 It will therefore be important to ensure that the appraiser and the realtor understands the value solar panels add. In addition to increasing home values, another study done by the National Renewable Energy Laboratory in Golden Co. found that homes with solar sold 20% faster, and for 17% more than a typical comparable home. This study was also limited to California markets, but homeowners in solar friendly cities might consider installing panels as a way to stand out from the crowd. As more homeowners choose to install solar on their homes in a given city or neighborhood, valuing solar homes is likely to become easier in those markets. All in all, the future of solar is looking bright.